The final season of the popular HBO series Game of Thrones premieres April 14th, and I (along with millions more) could not be more excited. To jog my memory in anticipation for the final season’s debut, I am re-watching the entire series. As I enter Season Six, I cannot help but notice the similarities (and one important difference) between the High Sparrow and America’s most notorious democratic socialist: Sen. Bernie Sanders (I-VT). The High Sparrow is the High Septon of the Faith of the Seven Church in the capital of Westeros. Introduced in Season Five, the High Sparrow immediately caused headaches for the ruling class. Using his faith as justification, the High Sparrow imposed his will on the great city of King’s Landing without mercy. High Sparrow (left) and Bernie Sanders (right). The similarities are striking. Along with sharing basic demographics like age and race, they also seem to enjoy the look of perpetual bedhead. Admittedly, this is the shallowest of comparisons, but come on—just look at ‘em! The High Sparrow is a devoutly religious man. He does not require proof to back his dogma. This is the basic definition of faith. Whether he is raiding a brothel or imprisoning a queen, he only needs faith in the Seven to carry out his divine justice. Regardless of the potential ramifications of his actions, he is comforted by the fact that he is striving toward a greater good. Like the High Sparrow, Sanders serves at the behest of a supposed greater good: the government. But in Bernie’s belief system, the government is omnipotent, akin to an all-knowing and all-powerful entity we usually only read about in religious texts. Like the High Sparrow’s belief in the Seven, Sanders’ promotion of socialism is based on faith, and faith alone. Despite Bernie’s dogged democratic socialist dogma, socialism has been an unmitigated disaster in every sad case in which it has been inflicted upon a people. From Stalinist Russia to Maoist China to the current catastrophe in Venezuela, socialism has been nothing but a horrific failure. However, backed by nothing but faith, Sanders and his ilk continue to believe, based on no evidence at all, they will get socialism “right” if given the chance. So what if his plans for society result in poverty and bloodshed? It’s all worth it because the actions are made in the name of the greater good. Whether it’s for combating global warming or fighting against income inequality, democratic socialists can sleep soundly knowing their inane policy prescriptions are, in their own minds, righteous. When the High Sparrow strove to impose the “will of the gods” on the city of King’s Landing, he took an approach that would make Sanders swoon. Like socialist revolts throughout history, the High Sparrow used a ground up approach. He did not buy influence. Rather, he manipulated the masses suffering around him to help propel him into unfettered power. And when those persecuted by the High Sparrow resisted, he enlisted the use of force to silence them. When confronted in the main church by the head of the King’s Guard, Jamie Lannister, the High Sparrow illustrated the power of rallying the disenchanted masses: “Every one of us is poor and powerless. And yet together, we can overthrow an empire.” This quote sounds exactly like the grievance-riddled, class warfare rhetoric spouted by Sanders during his stump speeches, when he routinely rails against “the billionaires” and derides corporations. Bernie’s entire campaign is predicated upon class warfare, and his ultimate solution is to simply wrestle power (and wealth) from those who have it. What is the ultimate endgame in Bernie’s world? Simple, the implementation of socialism across the land of the free, the home of the brave. In Bernie’s world, freedom is kaput; there is no tolerance for dissension, especially with the government. If you don’t like paying 70 percent of your income to Uncle Sam, the blunt force of government will solve that. Like the government, the High Sparrow doesn’t tolerate disagreement or alternative viewpoints. If you are living in defiance of the gods’ will, regardless of your faith, you’ll be paid a visit by hammer-wielding members of the Faith Militant. Say what you will about the High Sparrow, at least he is consistent and lives according to his rhetoric. When we first are introduced to the High Sparrow in Season Five, he is barefoot, dressed in rags, and feeding the poor. Even throughout his rise to power, you’ll find him dressed in the same drab attire and shoeless. Like him or hate him, the High Sparrow practices what he preaches. On the other hand, democratic socialist Sanders is a hypocrite at best and a total fraud at worst. Although Sanders constantly aims his ire at the evil 1 percent, privately, he lives quite lavishly. Bernie owns three large houses and has made millions from book deals and other capitalist ventures. Given his immense wealth, one would assume Bernie pays more than his “fair share” in taxes? Not exactly. In 2014, Bernie paid a measly 13.5 percent rate in income taxes, far less than the “fair share” he constantly calls for. As is clearly laid out above, Sanders and the High Sparrow share more similarities than I am comfortable with. Hopefully, as we continue to expose the horrors of socialism, the ideas proposed by Sanders will end up in the dustbin of history, much like (spoiler alert) the literal ashes of the High Sparrow. 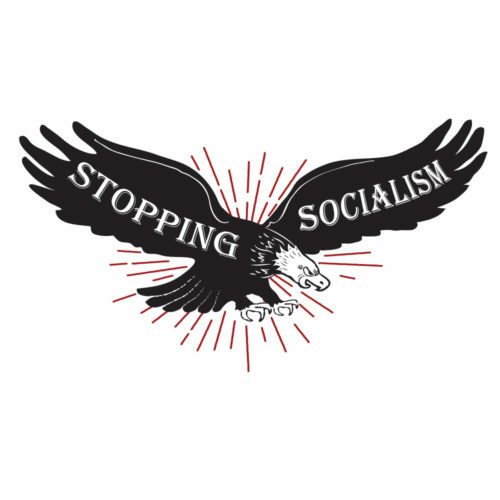 Donald Kendal is the co-founder of StoppingSocialism.com and serves as the website’s creative director. He’s also the host of “In the Tank,” a popular podcast that discusses news and opinion, with a focus on the work of free-market think tanks across the country.